MPPSC Sports Officer Admit Card 2018 is out on 6th August 2018. Candidates who are going to appear for the MPPSC Examination for Sports Officer, Librarian positions on 18th August 2018, they should download the MPPSC Librarian Hall Ticket 2018 and carry it to the examination hall. The MPPSC Sports Officer Admit Card 2018 direct link is available at the end of this page. Aspirants need to download the MPPSC Librarian Hall Ticket 2018 by providing the login credential information like Registration ID, Date of Birth or Password details. Through this article, we are furnishing all valuable information about the MPPSC Sports Officer Admit Card 2018 such as the importance of the Hall Ticket, information on the Admit Card, essential documents for the examination and downloading steps in clear explanation. Candidates can go through this entire article and grab all needful details on the MPPSC Librarian Hall Ticket 2018. All the applicants must and should download the MPPSC Sports Officer Admit Card 2018 few days before of the examination to avoid last minute rush. 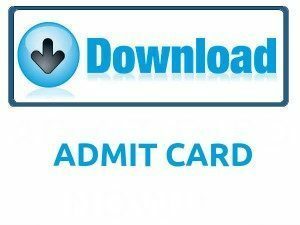 The MPPSC Sports Officer Admit Card 2018 is available now to download. The higher authority of Madhya Pradesh, Public Service Commission, had issued a recruitment notification for the 308 Librarian and 311 Sports Officer vacancy posts. For this MPPSC Recruitment 2018, the application process starts on 5th June 2018 and the application process end date on 4th July 2018. Eligible and interested candidates should apply for the MPPSC Recruitment 2018 through online mode on or before the end date. The officials of the Madhya Pradesh Public Service Commission decided to conduct the MPPSC Sports Officer, Librarian Examination on 18th August 2018 at various examination centers. To participate in the written examination, contenders must and should carry the MPPSC Librarian Hall Ticket 2018 for the examination center. Without MPPSC Sports Officer Admit Card 2018 it is impossible to write the examination. So competitors keep it in mind and attend for the written examination along with MPPSC Librarian Hall Ticket 2018. The Madhya Pradesh Public Service Commission board officers prints all important information about the examination and applicant related details on the Hall Ticket. The MPPSC selection process contains written examination. Competitors who will give the terrific performance in the written exam they will be selected by the Madhya Pradesh Public Service Commission recruitment team. The MPPSC Librarian Hall Ticket 2018 contains the below-provided information. Every contender needs to carry any documental proof from below specified along with MPPSC Sports Officer Admit Card 2018 for security reason at the examination center. The MPPSC Sports Officer Admit Card 2018 will play a major role at the examination hall. The MPPSC Sports Officer Admit Card 2018 contains all essential details about the exam like Exam Centre Address, Exam Date and Time, Time Duration of the Exam. And also the applicant details Full Name of the Applicant, Applicant Photograph, Signature of the Applicant. The MPPSC Librarian Hall Ticket 2018 is declared at www.mppsc.nic.in.The exam invigilator must and should check MPPSC Librarian Hall Ticket 2018 from all the participants before sending into the examination hall. If any candidate forgot to carry the MPPSC Sports Officer Admit Card 2018, then those candidates not eligible to write the examination. So all the applicants without any deviations must submit the MPPSC Sports Officer Admit Card 2018 at the examination hall. Contenders should refer all printed information on the MPPSC Sports Officer Admit Card 2018. If any mistakes appear then immediately inform the board authorities and make the corrections before the examination. To avoid the confusions about the downloading process, we have given few simple steps. So contenders should follow those instructions and get the MPPSC Librarian Hall Ticket 2018 without any stress. Candidates first log in to the official website of the MPPSC @ www.mppsc.nic.in. Now Madhya Pradesh Public Service Commission homepage will open on the screen. On that main page Admit Card Download section will be available, aspirants just click on it. Later find the MPPSC Sports Officer Admit Card 2018 download link on that page. After finding the related link just hit on it. Cross check all entered information and click on submit button. Now MPPSC Librarian Hall Ticket 2018 will display on the screen. Check the printed information on the MPPSC Sports Officer Admit Card 2018. And last take a print out of hard copy to submit at the examination hall. Hope this article is constructive for the candidates who had applied for the 619 vacancies of Sports Officer, Librarian posts. All the applicants must download the MPPSC Sports Officer Admit Card 2018 and attend for the examination on 18th August 2018. Candidates who want to know more government job recruitments, syllabus, previous papers, admit card and result, they should bookmark our website Sarkari Naukri.